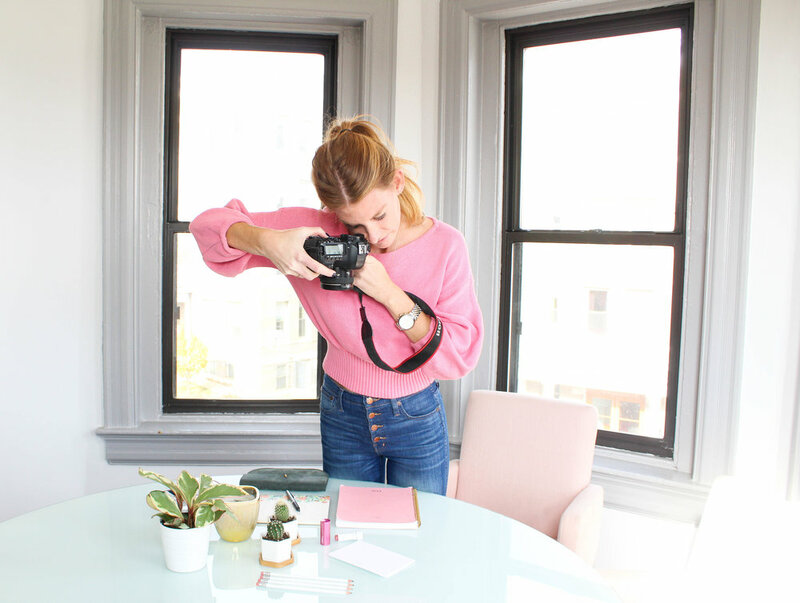 We're sure you've seen Kara's drool-worthy food shots, and expertly styled photos all over your Instagram feed, but she also works behind the scenes helping local brands all over the DMV. From lifestyle photography to spreading brand awareness, Right Foot Creative is a full service social media management service. Beyond her creative talent, Kara's bright energy and warmth is reason enough to learn more about her! Right Foot Creative is a full-service content creation and social media management company. I help businesses to “start their brand off on the right foot” by helping them strategize their social media plans and create the content they need to tell their own visual story. I also offer lifestyle photography for those looking solely for imagery for their brand. Hard, hard work, an open mind, and faith in my drive. While in marketing and social media roles post-grad, I fell in love with the connectivity of social media, and the ability to instantly share something I had created with the press of a button. I freelanced immediately after college, while still working 12 ish (or more) hour days at my full-time job, connecting with anyone and everyone I could learn from and offer something to them. My freelance projects aligned enough that I was able to take the pretty scary leap of going off on my own. It has been a roller coaster, but I wouldn’t change a thing and couldn’t be more grateful for the supportive creative community here in DC. This week marks the one year of Right Foot Creative and I’m really looking forward to what the new year will bring! Seeing my clients happy! I think that’s the best part of being a content creator. Conceptualizing something, creating it, capturing it, and seeing the joy on my client’s face when the project is delivered is the best. Photography has the benefit of pretty immediate satisfaction, and I love that about what I do. Feeling like you have it all under control, all of the time. 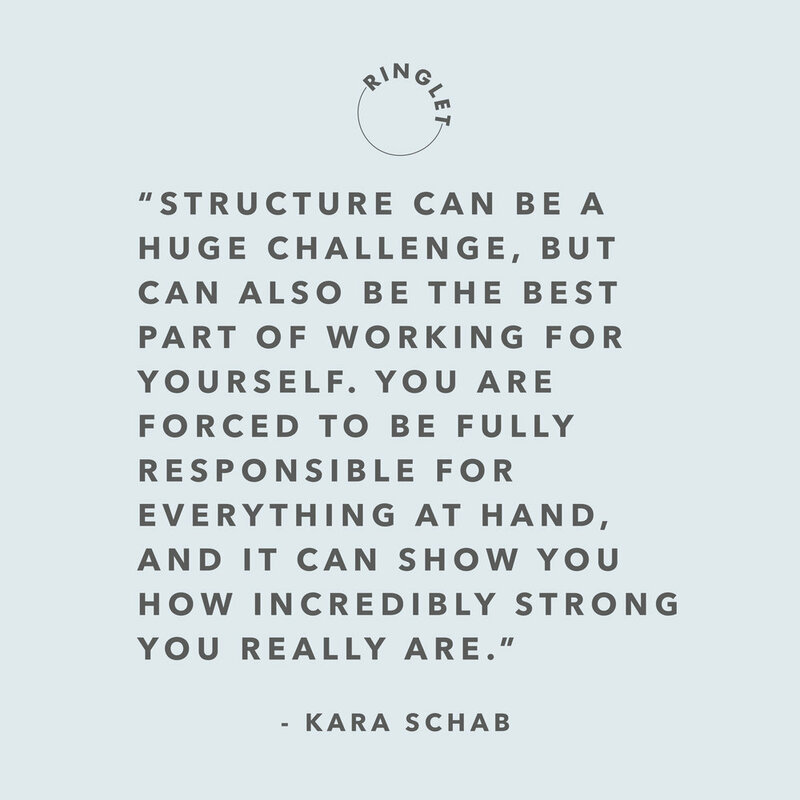 Structure can be a huge challenge, but can also be the best part of working for yourself. You’re challenged every day to complete the tasks, goals, photo shoots, etc., that you prioritize for yourself and your clients. You are forced to be fully responsible for everything at hand, and it can show you how incredibly strong you really are. Communication is really important to me, and I think that helps to ensure that everyone is on the same page and satisfied with the status of projects. No one has it all totally figured out, but finding a method that works efficiently for your brand definitely is a start. Plus, working from your bed every now and then isn’t the worst thing…. Travel, engagement, and connectivity. Travelling always gives me a new perspective. I’ve found it’s the best way for me to take a bit of a mental break from the constant rush of the DC hustle, and to become re-inspired in both my personal life and professional life. Nothing beats diving into a new city and checking out a new coffee shop, gallery, or capturing the scenery. It makes me appreciative of what I have and I always come back excited to take on a new project or re-visit a concept that may have started to feel dry. I also try to stay connected with friends in the creative industry. When I’m feeling a creative lull, I make it a priority to get together with a friend that inspires me. It’s also nice to connect with someone who understands the ups and downs of working for yourself. I’m motivated by those around me to keep creating, and to know that everything works out the way it’s meant to. But not without all of the hard work, of course.When I have my days of feeling the downs or lost in this world of working for myself, I throw on an episode of the podcast "How I built This" and pretty much instantly feel a calming sensation of "it's going to work out and this is all part of the journey." Each story started from somewhere, and the majority of the time, it took A LOT of figuring out to get there. As most entrepreneurs can tell you, working for yourself means that you’re probably working pretty late. At first, I was working from 7 am to 11 pm with minimal breaks. I’ve made it a point the past few months to focus on my self-care, which means getting in a yoga class or run every day. Once I get back from either one of those heavenly experiences, I’ll wind down, cook or pick up food, and sit down on the couch to catch up on more emails and make sure I’m on track for the next day. Doing this helps me to comfortably get to bed without too much insomnia over what I need to do the next day. I sleep with an essential oil diffuser which has also been a lifesaver! Highly recommend. Listen to your gut. I’m a pretty transparent person in my everyday life which I have carried over to my business, and I wouldn’t have it any other way. If you're not the least bit passionate about a project, then maybe it isn’t the right fit for you at that time. Keep an open mind, an open eye and something amazing will find you (or vice versa). Thank you kara! 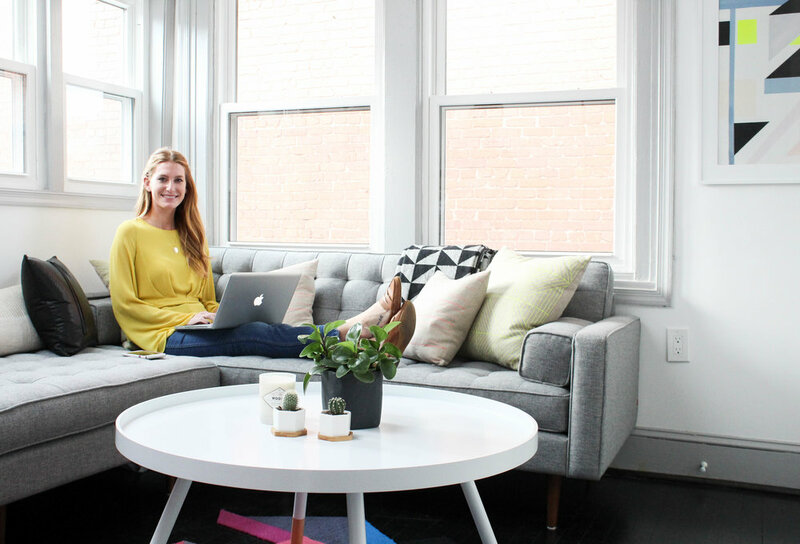 Make sure to follow this lady boss on instagram and on right foot creative's website. Join the ringlet weekly newsletter! 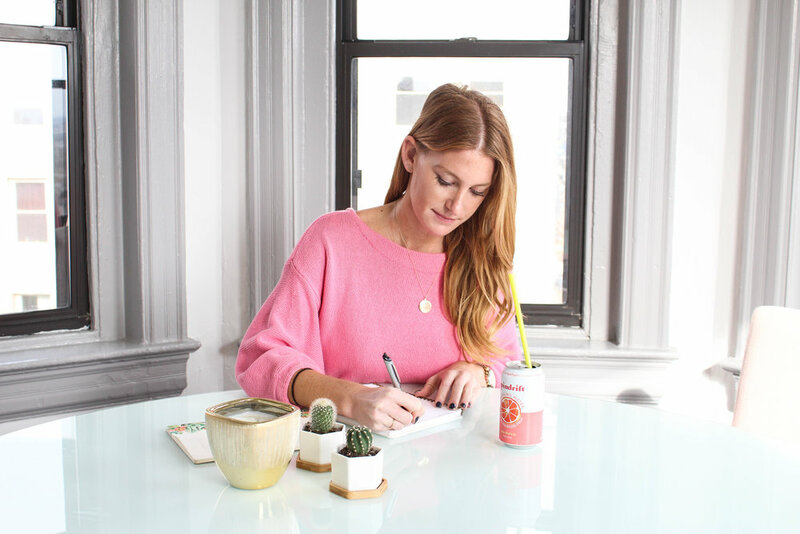 Sign Up for our Friday morning note with tons of marketing insights and more girl boss interviews.